Use 1 capful (5 mL) per 80 L (20 US gallons) twice a week. Check strontium level (use Reef Status™ Strontium to test strontium levels), then follow addition regimen above until strontium is adjusted to 8–12 mg/L. 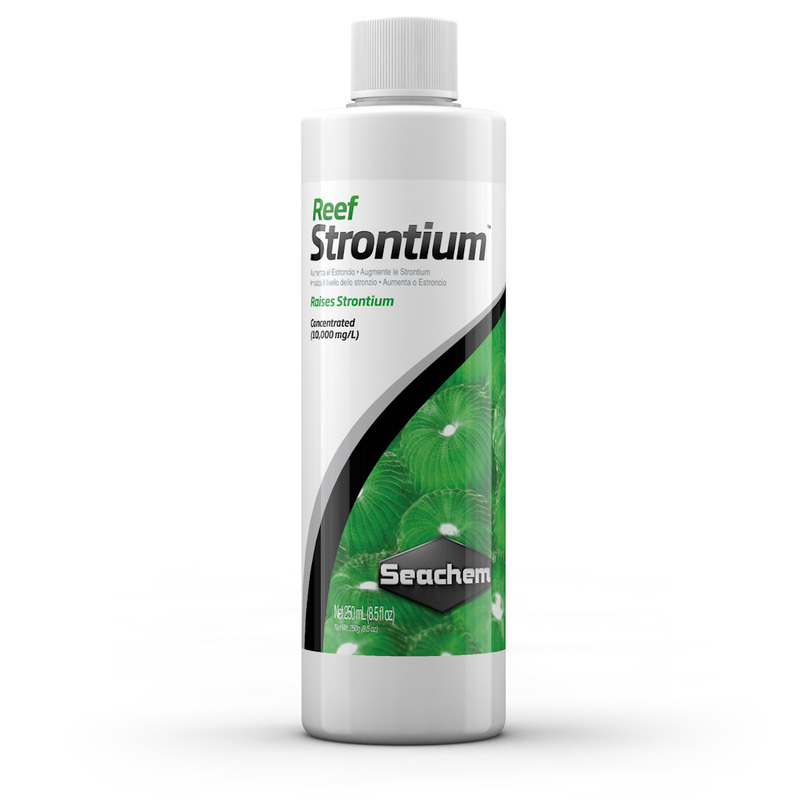 Each 5 mL/80 L will raise strontium by about 0.6 mg/L. Quantity or frequency can be adjusted as required to maintain strontium. After determining the strontium consumption rate, set up a continuous drip system. Use the following formula (or skip the math and use our Dosage Calculator) to determine how much to add to your top-off water: m=0.1vs (m=mL of product to add to top off water, v=volume of tank in liters, s=amount to raise strontium in mg/L). For example, if you want to raise strontium by 2 mg/L in a 200 liter tank, then you would add 0.1x200x2=40 mL into the top-off water. [For reference: 1 gallon=3.8 L]. Contains 1,5-pentanedial. May produce an allergic reaction.